Recommend to Buyer to arrange his or her own professional mover who can arrange to move the Bed and Side Drawers with Bed Box & Mattress out of the current home without any damage please. 3-pc Bedroom Suite. Queen-size bed. Large 6-drawer dresser with large mirror attached. Smaller 2-drawer dresser for next to the bed. Like new. Available for inspection evenings or weekends. The Pocono juvenile bedroom collection offers large storage capacity along with a great young and trendy style. The espresso laminate finish gives the collection a timeless look sure to stay relevant while your child grows up. Bed set is still in good condition, looks brand new and very comfortable. Beautiful hand-crafted artisan wood furniture set built in Quebec. Includes the following pieces (measurements HxWxD in inches):Armoir - 77x42x21 ($750) Other pieces of bedroom set available. Elegance Espresso Lacquer Finish Home Entertainment Collection. Collection constructed of engineered wood with laminate finish and MDF with lacquer finish. Some assembly may be required. Trundle Unit. 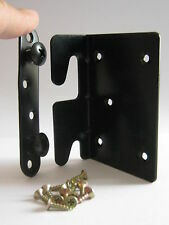 Canopy Frame (only) Headboard - Princess. Footboard - Princess. Rails - Wood w/Slats. Creative office designs inc.905-895-9550. 56 3/4 x 73 x 2 3/4. 9 1/2 x 75 x 3/4. Complete the Belle Noir dresser with the pretty Belle Noir mirror. The beveled glass is framed with hardwood solids with a dark merlot finish. Its gently curved lines echo the graceful look found throughout the matching bedroom. Alegria Natural Maple Finish Twin Size Juvenile Bedroom Collection. The Alegria Collection is many families' favorite with its neutral and rich Natural Maple finish and its furniture is perfectly dimensioned for smaller bedrooms. 5pcs Bedroom Set - New Furniture. QUEEN BED, DRESSER, MIRROR, 2 NIGHTSTANDS. Dresser - 61"W x 17"D x 37"H. RUSTIC MODERN BEDROOM FURNITURE. Queen Bed - 66"W x 86"D x 54"H. King Bed - 80"W x 86"D x 54"H.
Morwin 5pcs Bedroom Set - New Furniture. KING BED, DRESSER, MIRROR, 2 NIGHTSTANDS. Dresser - 62"W x 16"D x 35"H. MODERN STYLE BEDROOM FURNITURE. Queen Bed - 65"W x 85"D x 56"H. King Bed - 81"W x 85"D x 56"H.
Dresser - 63W x 16D x 37H. FRANCO - 5pcs MODERN QUEEN BEDROOM SET. 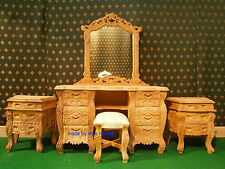 5pcs Bedroom Set - New Furniture. Queen Bed - 65W x 89D x 62H. Contemporary satin nickel colored knobs. Swooping shaped base rail. King Bed - 81W x 89D x 62H. Laredo 5pcs Bedroom Set - New Furniture. Queen Bed - 66"W x 88"D x 54"H. KING BED, DRESSER, MIRROR, 2 NIGHTSTANDS. King Bed - 83"W x 88"D x 54"H. Substantial antique brass color drawer handles. Burnished aged brown finish over replicated Oak grain. Recessed framing carries over from the design of the headboard to the drawer fronts of the case pieces and storage footboard. TRADITIONAL STYLE BEDROOM FURNITURE. 5pcs Bedroom Set - New Furniture. Queen Storage Bed - 68"W x 90"D x 60"H.
Verona 5pcs Bedroom Set - New Furniture. QUEEN BED, DRESSER, MIRROR, 2 NIGHTSTANDS. Dresser - 64"W x 18"D x 41"H. Queen Bed - 68"W x 87"D x 72"H. King Bed - 84"W x 87"D x 72"H. California King Bed - 84"W x 91"D x 72"H.
Constructed from Fruitwood solid and Birch veneer. MARCIA - 5pcs SLEIGH BEDROOM SET. 5pcs Bedroom Set - New Furniture. w/ QUEEN BED & STORAGE FOOTBOARD. Queen Platform Storage Bed - 66"W x 94"D x 57"H.
STANTON - 5pcs ULTRA MODERN WHITE BEDROOM SET. 5pcs Bedroom Set - New Furniture. Dresser - 63"W x 18"D x 36"H. w/ KING PLATFORM BED. Queen Bed - 64"W x 89"D x 59"H. King Bed - 80"W x 89"D x 59"H. Cal King Bed - 80"W x 93"D x 59"H.
KING BED, DRESSER, MIRROR, 2 NIGHTSTANDS. Dresser - 52"W x 17"D x 35"H. MULTI TONE BROWN BEDROOM SET. This sharp looking bedroom suite has a unique acacia parquet design on the headboard and footboard with matching case goods. The bed features thick padded headboard with cushioned side rails and integrated storage footboard bench upholstered in a dark brown textured fabric. QUEEN BED, DRESSER, MIRROR, 2 NIGHTSTANDS. Dresser - 66"W x 18"D x 45"H.
STANTON - 5pcs ULTRA MODERN WHITE BEDROOM SET. 5pcs Bedroom Set - New Furniture. Dresser - 63"W x 18"D x 36"H. w/ QUEEN PLATFORM BED. Queen Bed - 64"W x 89"D x 59"H. King Bed - 80"W x 89"D x 59"H. Cal King Bed - 80"W x 93"D x 59"H.
5pcs Bedroom Set - New Furniture. QUEEN BED, DRESSER, MIRROR, 2 NIGHTSTANDS. Dresser - 57"W x 16"D x 33"H. LOW PROFILE BEDROOM SET. Queen Bed - 66"W x 86"D x 45"H. The contemporary design of the Silvania collection is enhanced by the addition of the durable black vinyl covering that encases each piece in the collection. LEOPOLD - 5 pieces Bedroom Set - New Furniture. Beige fabric wing bed features button tufted headboard, individually placed nailhead trim in bronze finish, and solid birch legs finished in black. Optional Queen Bed - 70"W x 86"D x 60"H.
CAROLINE - 5pcs KING SLEIGH BEDROOM SET. 5pcs Bedroom Set - New Furniture. Dresser - 61"W x 16"D x 41"H. Queen Bed - 68"W x 87"D x 63"H. Large scaled shapely bedroom collection features bun feet. King Bed - 84"W x 87"D x 63"H.
Dresser - 62W x 22D x 37H. w/ QUEEN PLATFORM STORAGE BED. MODERN STYLE BEDROOM SET. 5pcs Bedroom Set - New Furniture. Queen Bed - 66W x 94D x 50H. King Bed - 85W x 94D x 50H. Cal King Bed - 85W x 98D x 50H. Constructed from Poplar solid and Birch veneer. QUEEN BED, DRESSER, MIRROR, 2 NIGHTSTANDS. Dresser - 59"W x 18"D x 41"H. 5pcs Bedroom Set - New Furniture. Queen Storage Bed - 68"W x 90"D x 60"H. Eastern King Storage Bed - 84"W x 90"D x 60"H.
DILLON - 5 pieces Bedroom Set - New Furniture. KING BED, DRESSER, MIRROR, 2 NIGHTSTANDS. Dresser - 62"W x 19"D x 40"H. Gray fabric wing bed features button tufted panels, and solid birch legs finished in black. Constructed from Poplar solid and Birch veneer. KING BED, DRESSER, MIRROR, 2 NIGHTSTANDS. Dresser - 63"W x 16"D x 35"H. TRADITIONAL BEDROOM FURNITURE. Pairing the panel bed of the collection with the traditional look of Louis Philippe styling, instantly creates a classic look to your bedroom. FLINT - 5 pieces Bedroom Set - New Furniture. QUEEN BED, DRESSER, MIRROR, 2 NIGHTSTANDS. Dresser - 64"W x 17"D x 40"H. Constructed from solid pine and premium mindy veneer. 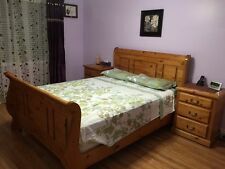 Queen Bed - 65"W x 87"D x 58"H.
Alder 5pcs Bedroom Set - New Furniture. QUEEN BED, DRESSER, MIRROR, 2 NIGHTSTANDS. Dresser - 62"W x 16"D x 43"H. Large scaled rustic contemporary bedroom collection features case pilasters. Chest - 35"W x 16"D x 55"H.
KING BED, DRESSER, MIRROR, 2 NIGHTSTANDS. Dresser - 63"W x 18"D x 34"H. Queen Bed - 63"W x 85"D x 49"H. King Bed - 79"W x 85"D x 49"H. Chest - 35"W x 18"D x 51"H. Limited quantity at promotional pricing. Area Rug 6' x 9' Kaledoscope Beautiful Multi-Color Super Thick Rug. For many people, the bedroom acts as a place where they can go to relax and forget about the stresses of the day. A bedroom set that is in your preferred style can help you relax even more. When it comes to choosing a furniture set for your bedroom, there are many choices to help you find just the right set. What pieces are included in bedroom furniture sets? Basic bedroom sets: These basic sets usually come with three main pieces of furniture. The pieces are a bed frame with a headboard, a nightstand, and a dresser or chest of drawers. Expanded furniture sets: In addition to the basic furniture set, expanded sets often include a second nightstand, a chest of drawers, an armoire, mirrors, and a bench. Some expanded sets also include lamps and bedding. Customizable bedroom sets: Some sets allow you to choose the furniture you need most for your bedroom. For example, these sets often include the bed frame and then let you pick additional pieces as desired. What styles of bedroom sets are available? Amish furniture: Manufactured by the Amish, Amish furniture is made of 100% wood. Amish furniture generally has a traditional, handcrafted style that can give your bedroom a cozy and charming feeling. Cottage: Cottage-style furniture usually consists of light or white wood pieces that all match. The hardwood furniture is designed to give a light, airy feel to a bedroom. Contemporary: This style refers to bedroom furniture that was designed or made after the 19th century. The bedroom set may incorporate nontraditional materials, like fabrics and reflective finishes, into its design. Traditional: Traditional furniture usually combines comfortable designs with a classic look. Hard wood furniture usually has a rich stain that adds warmth to the bedroom. Old World: This furniture may be made from dark woods and wrought iron. What should you consider when looking for bedroom sets? Bed-frame size: Bed sizes vary depending on the size you need. For example, kids may need a twin or full bed while you may want a queen or king size bed. Bedroom size: The size of your bedroom may determine what size bedroom set you are looking for. If your bedroom is smaller, you may want a basic bedroom set. If you have a larger bedroom, you may be able to accommodate an expanded bedroom set. Bedroom layout: The layout of the room you are putting furniture in may limit the number of pieces you can comfortably fit.